We are all concerned about technology and innovation. We want to get a sense of how things will develop and to hope that we can anticipate the developments to come. 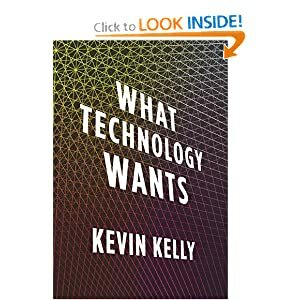 The offerings by Kevin Kelly and W. Brian Arthur aim to help people get a sense of how technology develops. Kelly would know – he is the founding editor for Wired magazine. From him, the sense is that technology is fast becoming a branch of life by itself. There is first the observation that technology is developing in the trajectory of life; that as it is possible to think about the speciation of life into many diverse niches, so technology continues to specialise into smaller and smaller niches, becoming more ubiquitous. 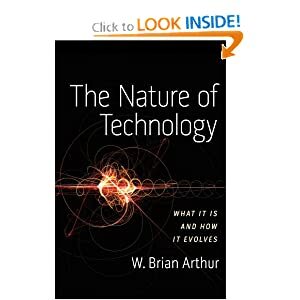 W. Brian Arthur describes the process of technological development – how new technology has to come from old technology; solutions to existing problems become the bases for new solutions. There isn’t a straightforward process as to how innovation comes about – old parts can become re-adapted for entirely new purposes unforeseen. The interesting details are in the individual processes where this has happened. The two titles are related in how they talk about ideas. 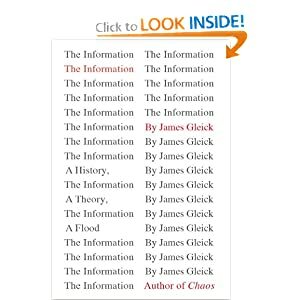 Gleick writes about the history of information and how information came to be understood. Gleick goes through the usual pantheon of heroes in information science – Shannon, Watson and Crick (the discovery of DNA and how it compresses the information needed for life), Vannevar Bush, von Neumann, up to the study of networks and the typology of information. 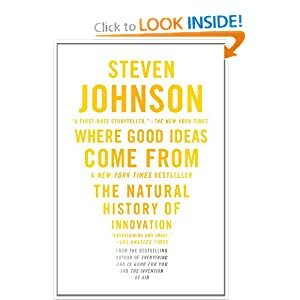 Johnson writes about the history of innovation. Johnson notes how innovation comes from networked environments without any clear market incentive. There are numerous case studies of the discovery of the serendipitous discovery of the microwave background radiation and the conceptualisation of GPS. Taking all 4 together, what do we get? There is unlikely to be a straightforward way to predict or foretell the future of technology/innovation. There is only the possibility of creating the conditions for innovation. Technological development is non-linear, and here the hope is that non-linear trajectories are precisely what one would hope for for the unexpected technological solutions to present issues. 4. N – nanotechnology – the increasing miniaturization of components down to the molecular development. Garreau takes cue from Kurzweil’s Singularity but goes deeper than that, in acknowledging other patterns of human development. For Garreau, Kurzweil’s exponential curves are not deterministic – we should not take for granted that these curves can go on forever. Yet, there is a case for the argument that human evolution is becoming engineered, as opposed to being driven by biological or cultural evolution, as has happened through human history. I think the term evolution should not be interpreted in the deterministic sense – there is no single pathway that the human race is proceeding towards. The term to use here is muddling, and muddling through is what is likely to happen despite the exponential curves. This picture of humanity muddling through these GRIN development is best represented through Garreau’s Prevail scenario, a sort of middle-of-the-road picture in contrast to Kurzweil’s overly-optimistic Heaven, and Bill Joy’s overly-pessimistic Hell scenario, where a single mistake can become catastrophic for much of life, human or otherwise. The point of discussing all of these technological development can be described in the context of the larger question of how technology is going to change human nature irrevocably. Garreau references Fukuyama’s Our Posthuman Nature and Jaron Lanier’s thoughts on technology, and together they paint an ambivalent picture of GRIN developments. The consequences of these technologies together challenge many of our existing notions of what it means to be human, especially when these technologies disrupt the very deep equality that people still share with each other. The adoption of many of these technologies will mean a qualitative leap in human capabilities – watching the movie Gattaca gives a picture of what biotech enhancements could bring about, if not dealt with equitably. These questions are undoubtedly ethical in nature, and Garreau is able to weave these threads in a coherent fashion. The Prevail scenario looks likely to be the picture that we will be dealing with, and these will be real questions that we will be addressing a few decades down the road. The development of the exponential curve is another question altogether. I want to differentiate between capability and capacity. Japan has the capacity/potential to start a nuclear weapons program if it wanted to, although as yet, it does not have a capability for it. The end results of the exponential curve in performance are likely to provide us with the capacity and potential to do all sorts of things, but the capabilities we will actually have is likely to be context drive. Studies in Science-Technology-Studies have revealed all sorts of path-dependence in the development of many of the technologies we take for granted, and it is the rare occasion that technical premises were the main drivers of the outcome. Nuclear power was one example, as is the QWERTY keyboard, and there are others. The translation from capacity to capability is a separate question. My guess? We are likely to see Singularity-type developments in the timeline that Kurzweil demonstrates, but the outcome will be so different from what he envisions, that we won’t recognise it as such. Super-capable computing abilities will be ubiquitous, as are our mobiles today, and we won’t notice it. All sorts of intelligence will be available to us, including super-human contextual intelligence, but won’t be recognised as such. Self-aware systems will become one feature, but not the main feature. As for brain-computer interfaces – I don’t know. The futures are too far out for this post, although this topic is something I suspect I will get back to.